16/11/14. Alqosh, Iraq. 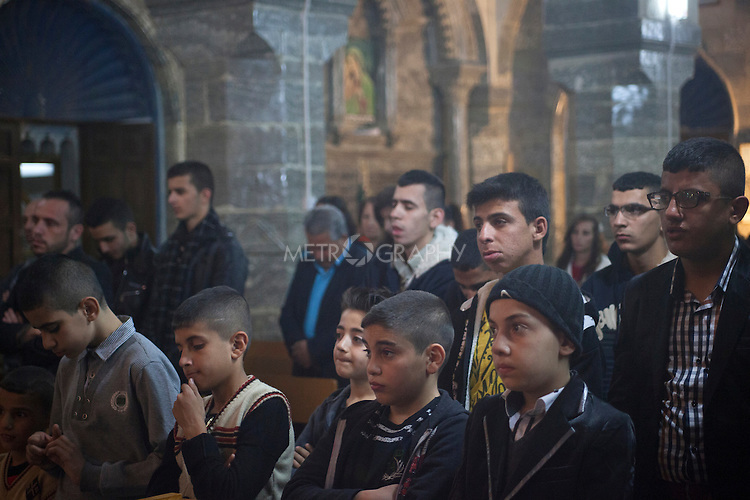 Wassam (front, second right) attends a service with orphans and residents of Alqosh in the monastery's Der Saida Church.